baker. art direction. design. consultant. of musicians. 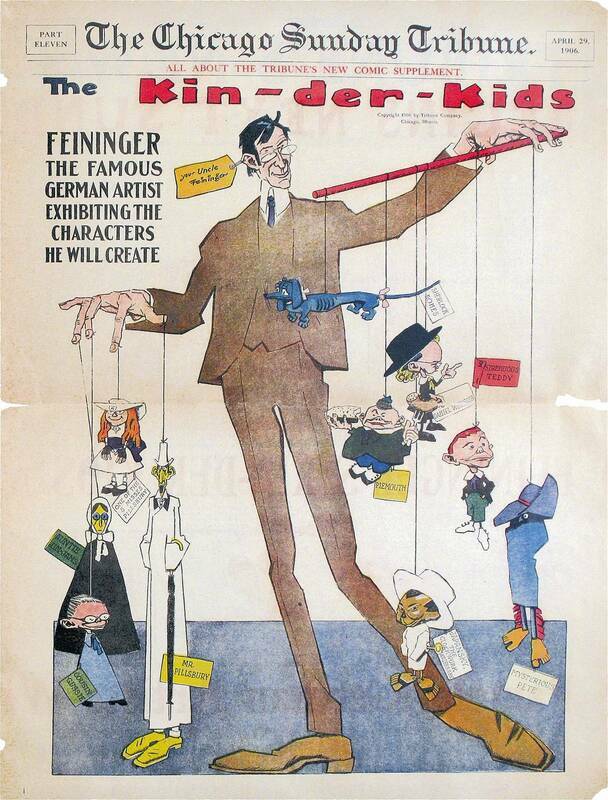 In 1906–7, while staying in Paris, he worked for the French satirical weekly Le Témoin, and published the weekly comic strip The Kin-Der-Kids in the Chicago Sunday Tribune. In 1924 Feininger founded the Die Blaue Vier (The Blue Four) group with his long-time friends and colleagues Kandinsky, Paul Klee, and Alexej Jawlensky. The group’s first exhibition in 1925 at the Charles Daniel Gallery in New York was followed by numerous other presentations in Germany and the US. Today, Feininger’s works are held in the collections of The Museum of Modern Art in New York, the Phillips Collection in Washington, D.C., and the Kunstmuseum Basel, among others. As a graphic designer I have been influenced by many things: books, films, fellow creatives, music and my favourite - ephemera. This journal focuses on my personal collection and also what inspires me to do what I do and, I hope, will continue to do for many years to come.